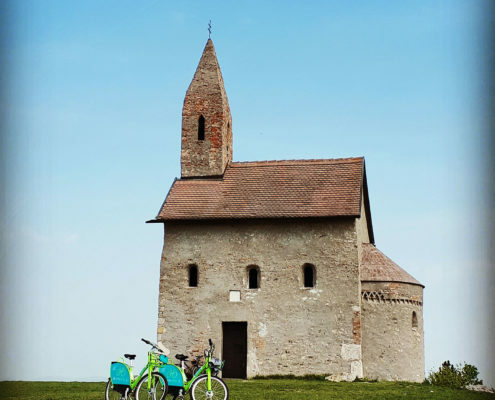 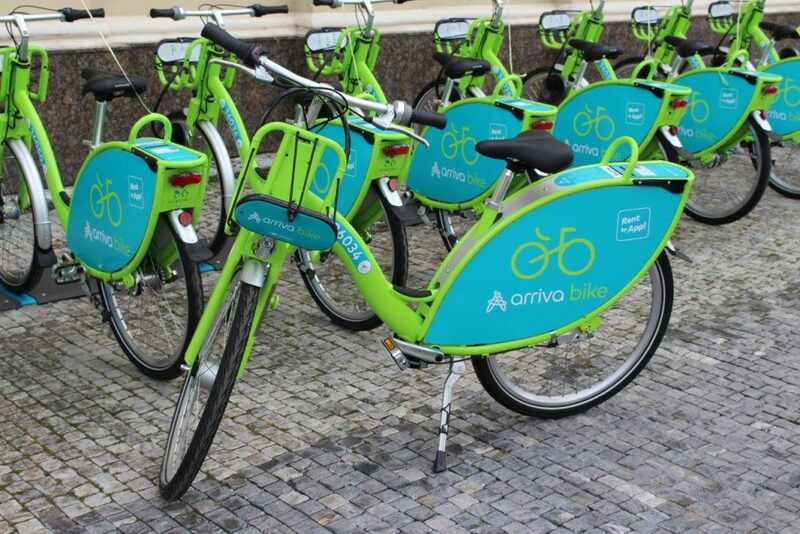 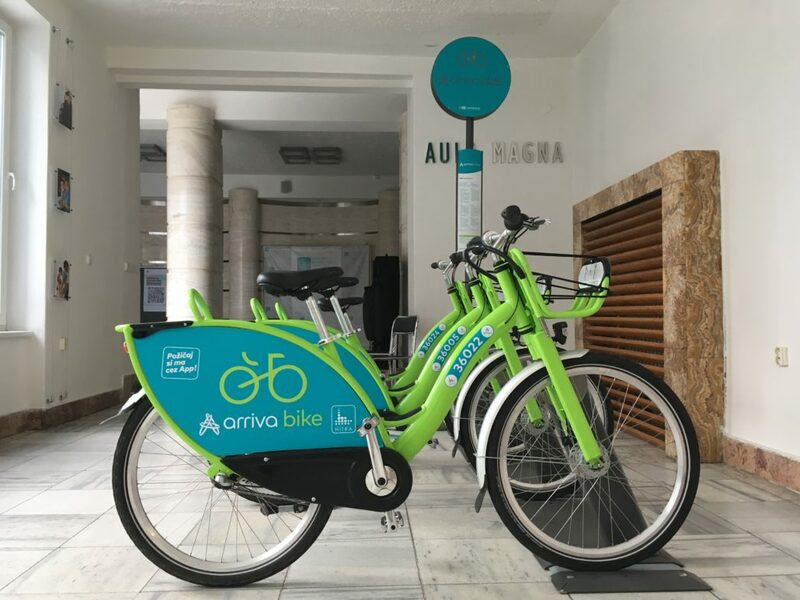 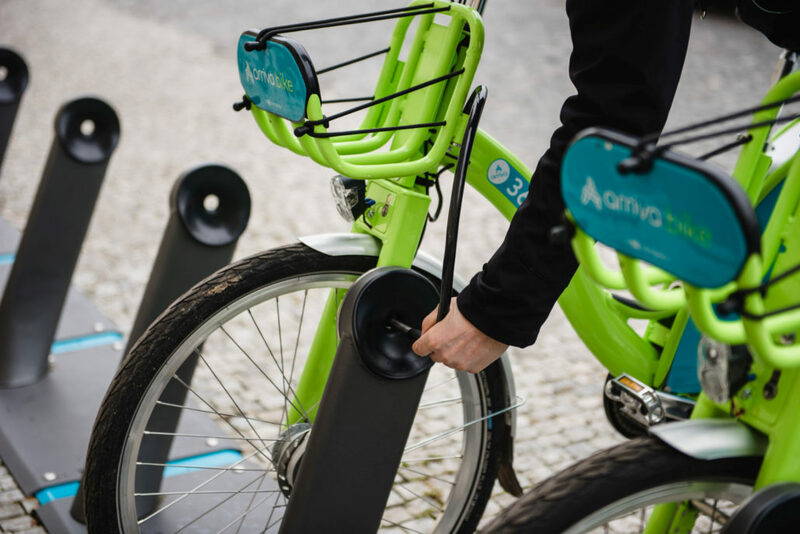 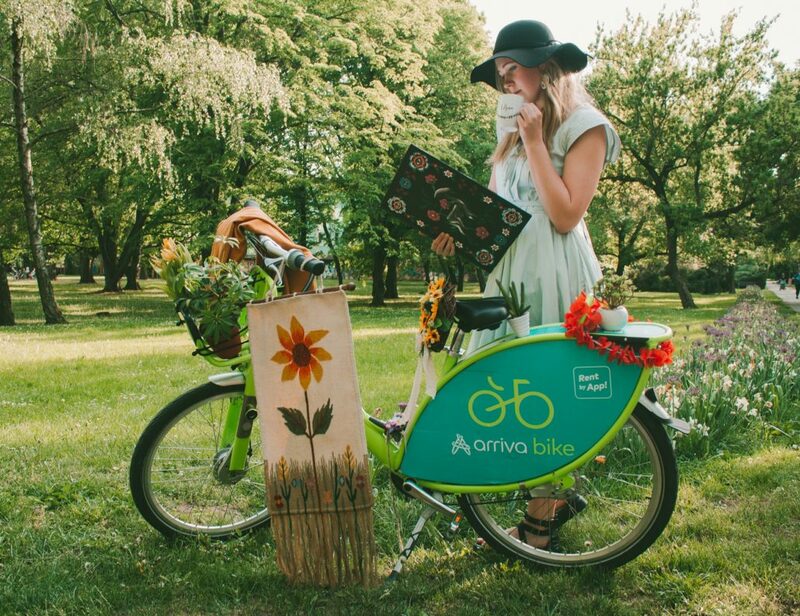 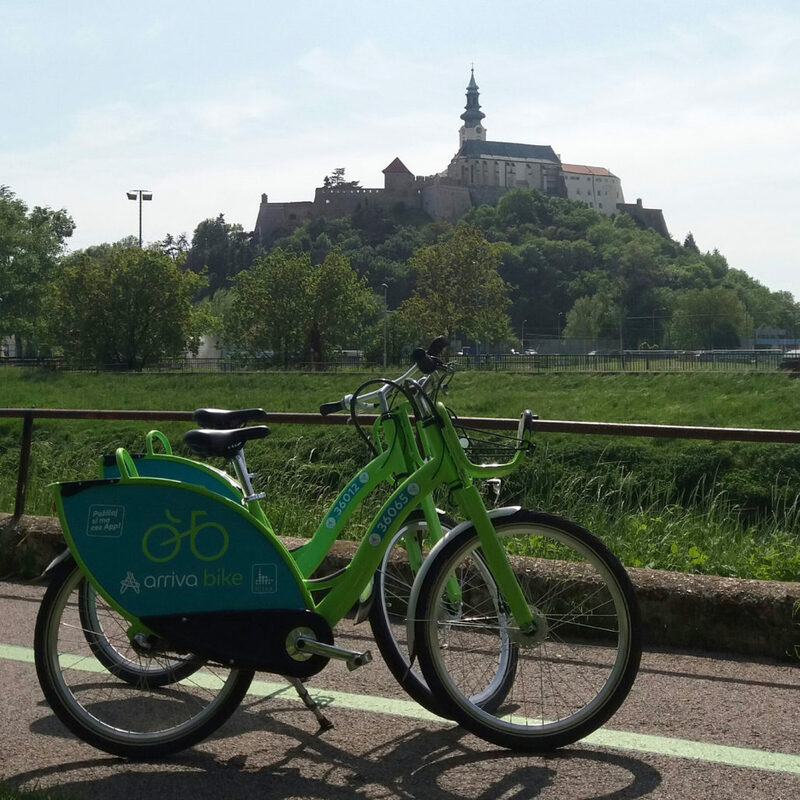 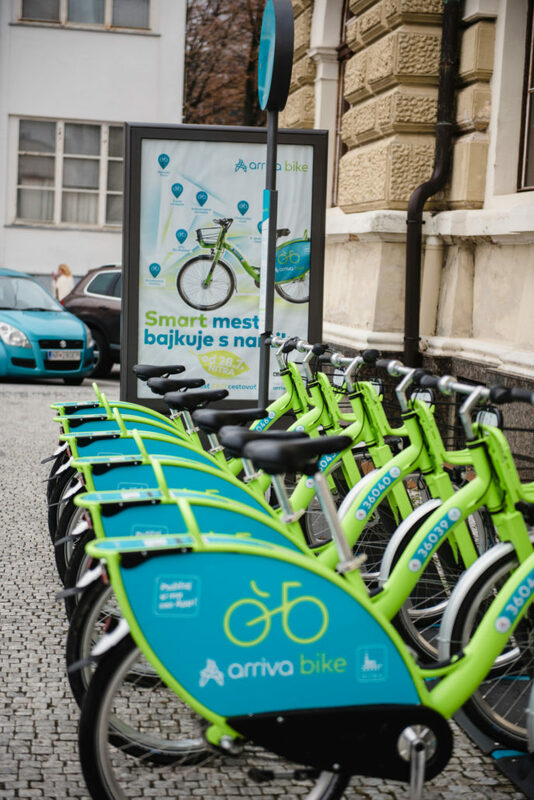 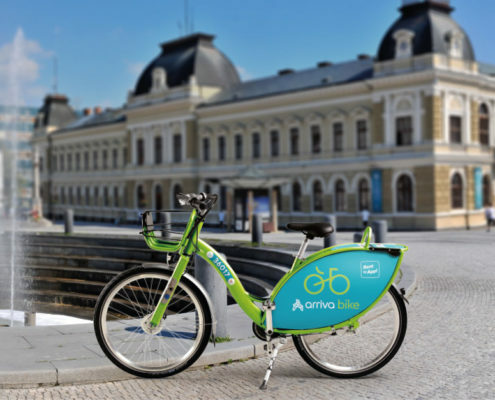 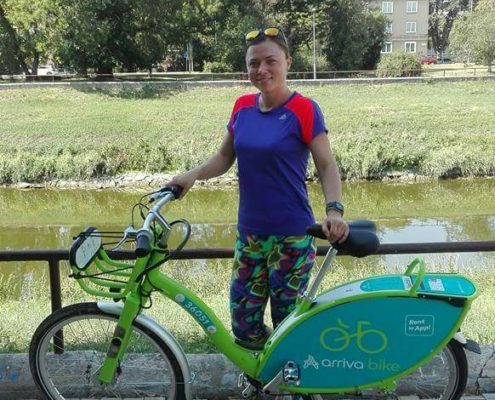 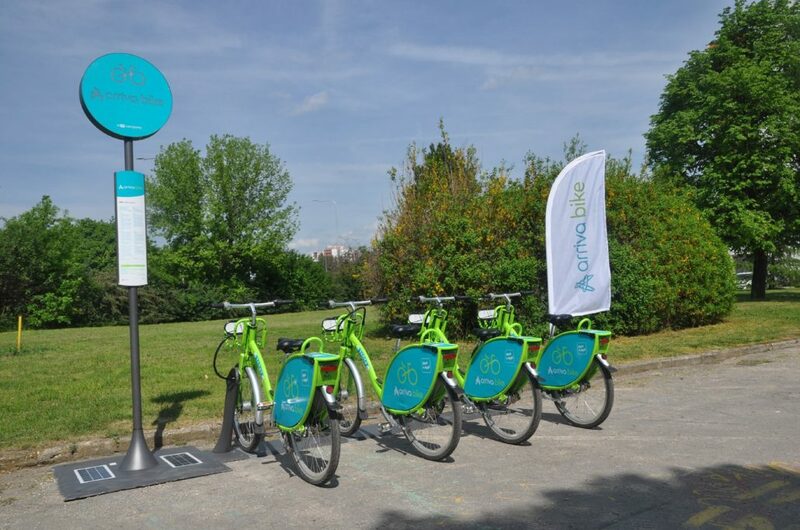 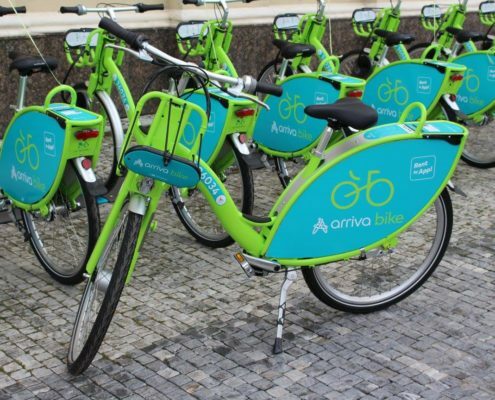 We are introducing you the real bicycle of Nitra – the arriva bike. 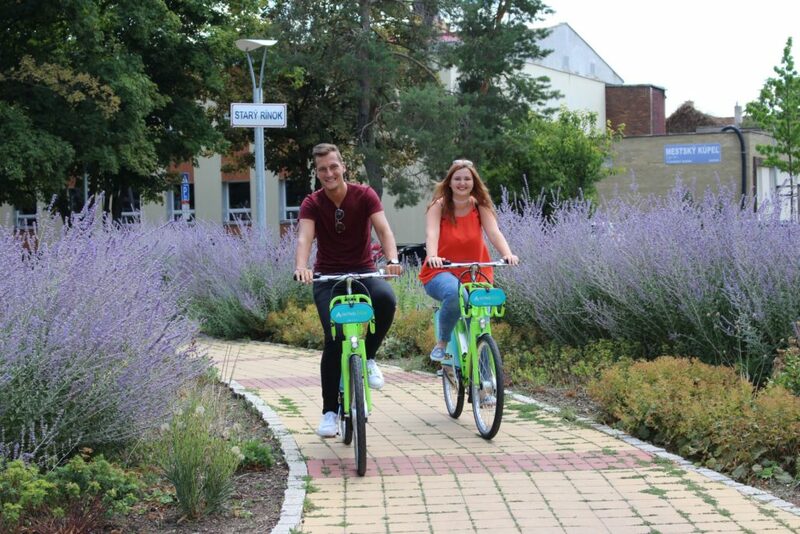 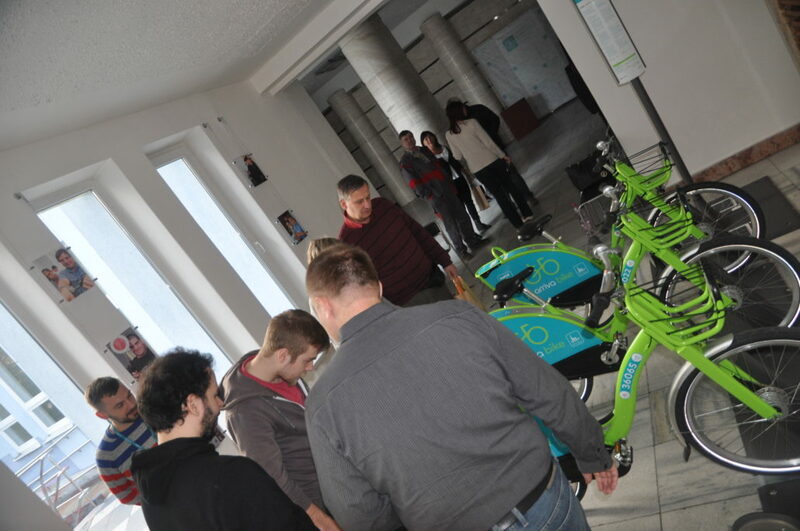 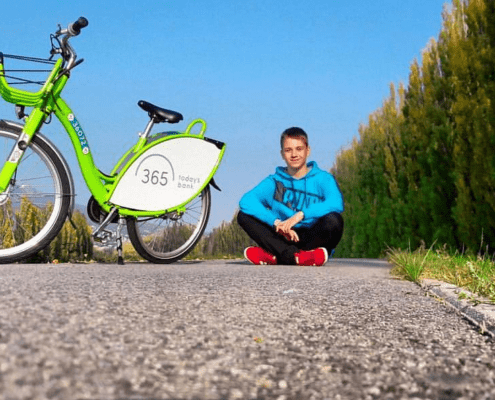 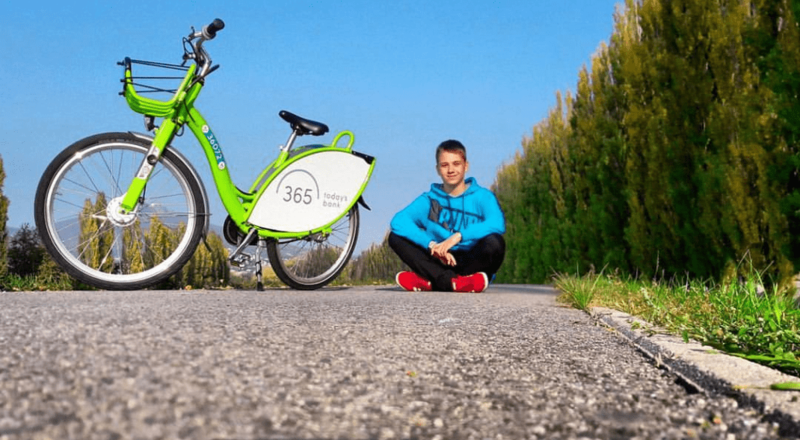 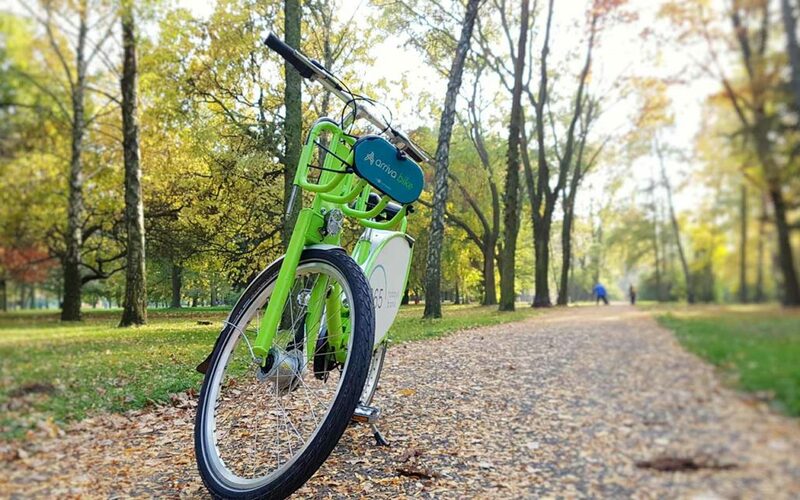 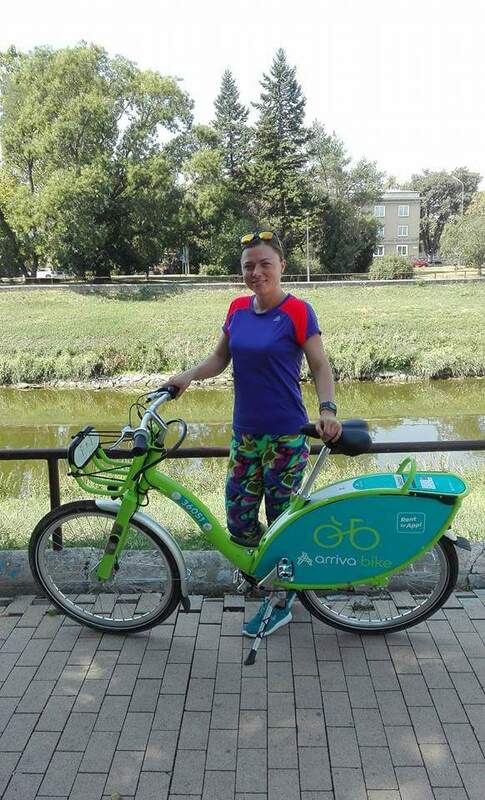 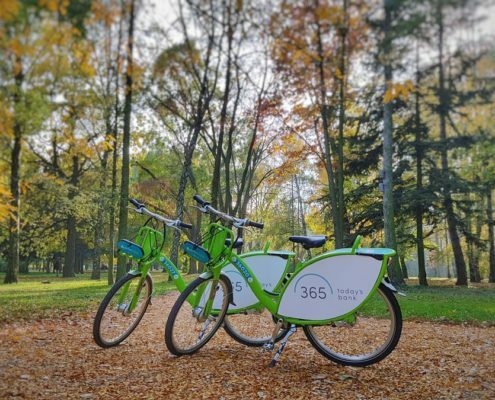 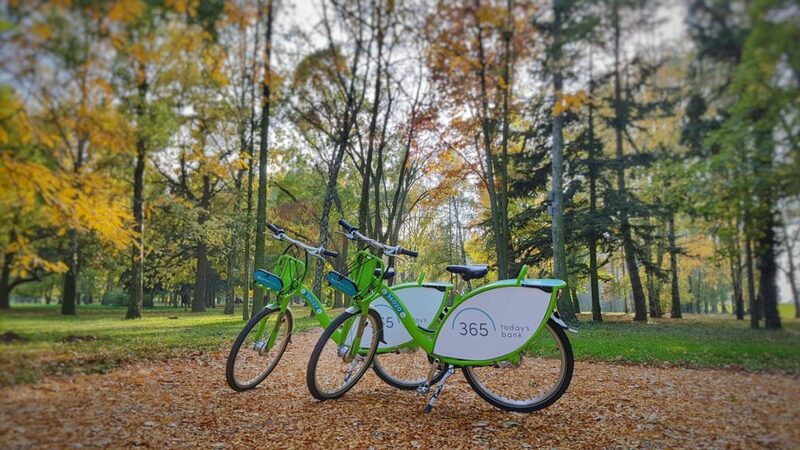 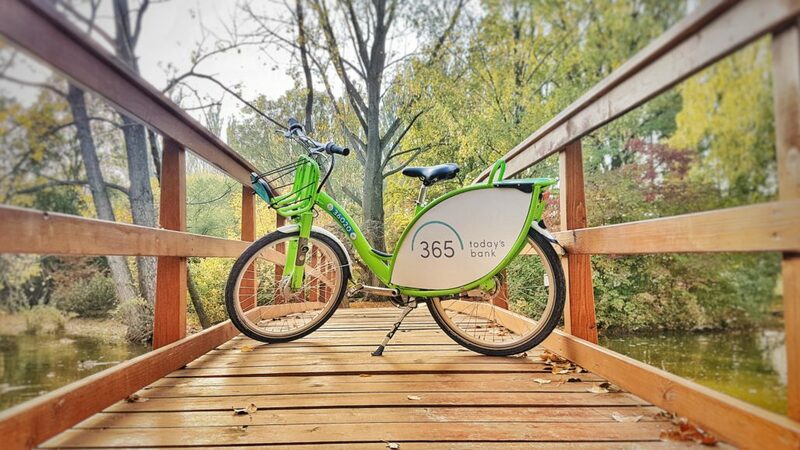 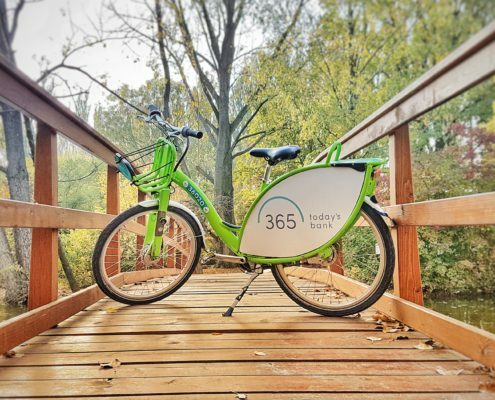 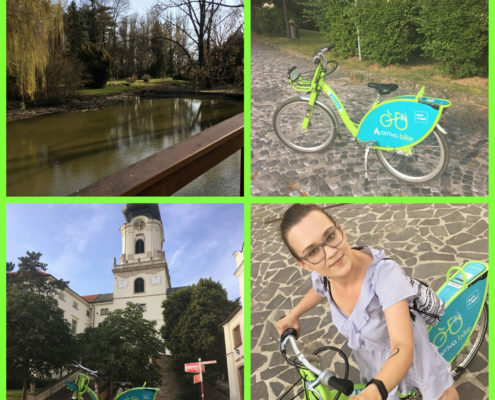 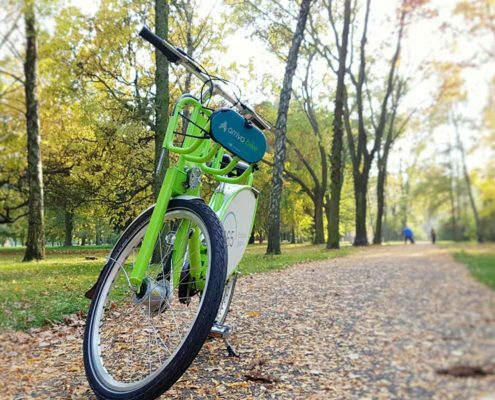 This bicycle can rent everyone, who would like to move around Nitra quickly, in a healthy and ecological way. 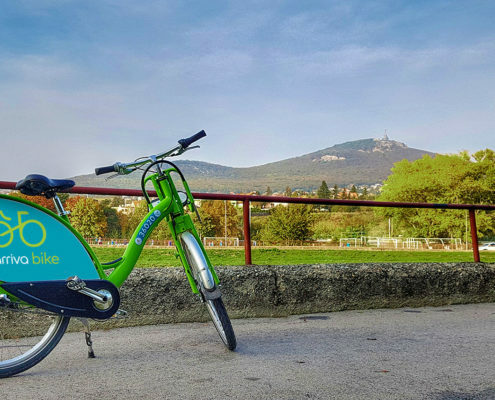 Whether you are in the city as a tourist, a student, a citizen or a casual visitor, you will experience a new adventure together. 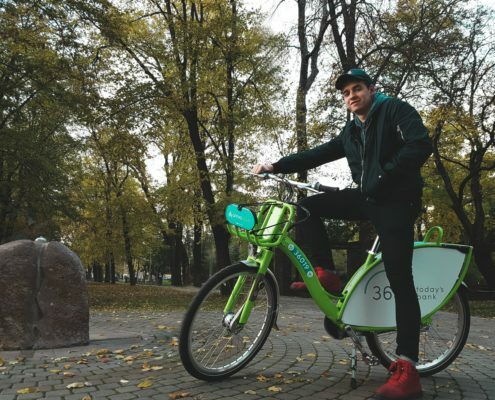 What is it like? 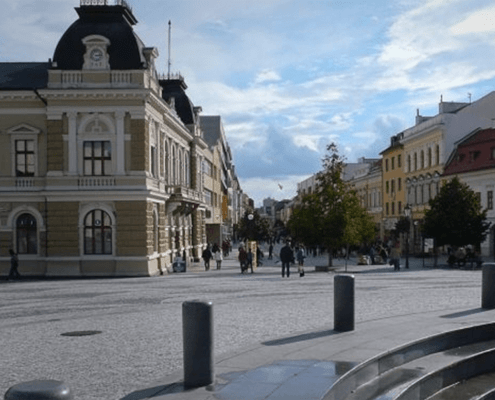 Meet the city of Nitra with the wind on your ankles. 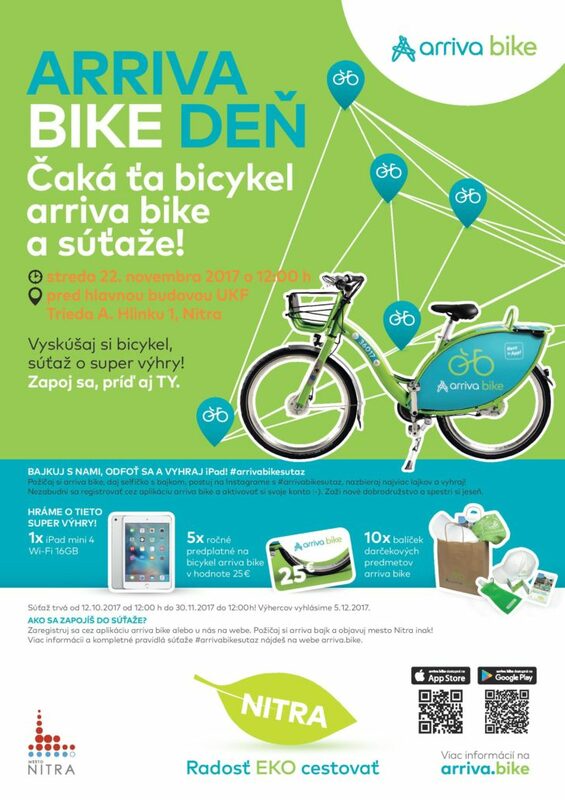 Bike with us! 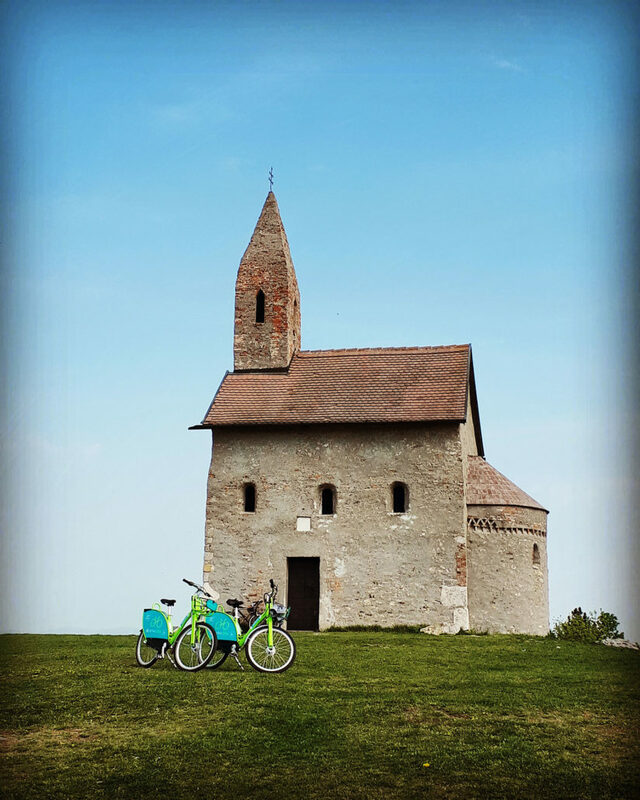 The photo contest was held from April 16 until May 31, 2018. 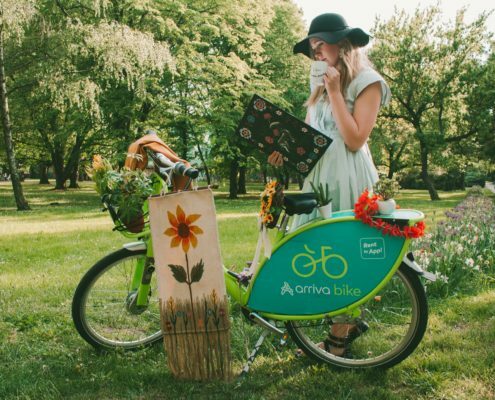 These are the winners of the #arrivabikesutaz2018 photo contest. 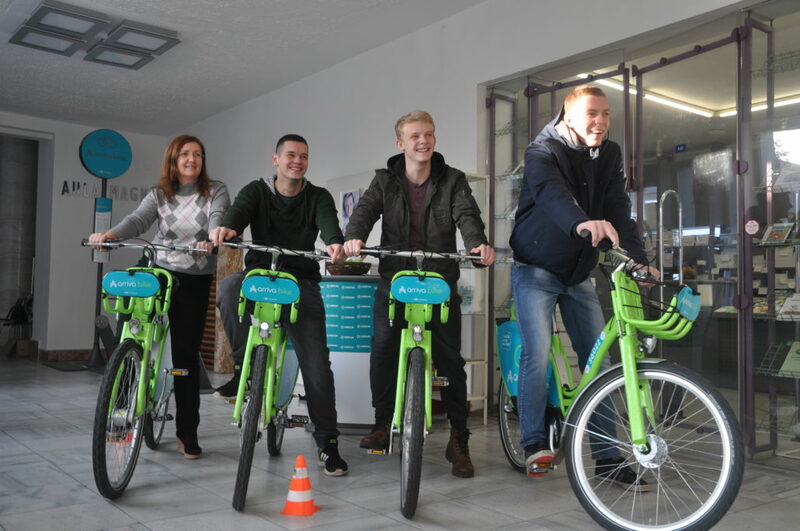 We have prepared a spring ARRIVA BIKE DAY on Wednesday, April 25, 2018 for the students of the university. 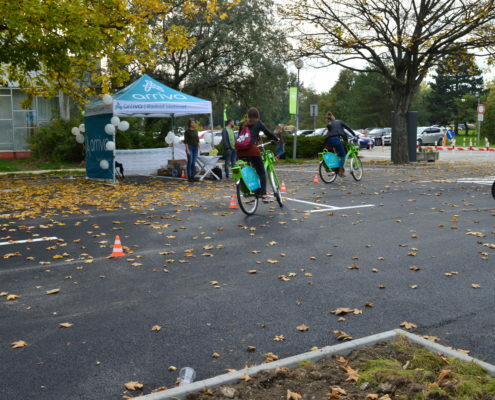 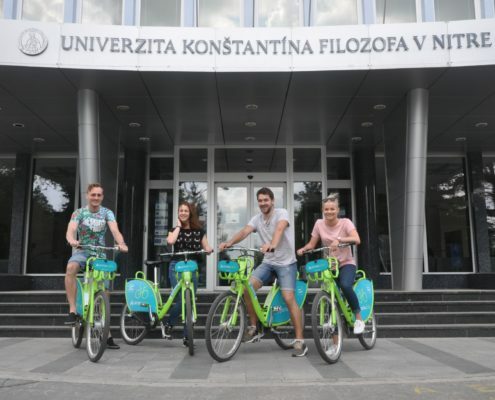 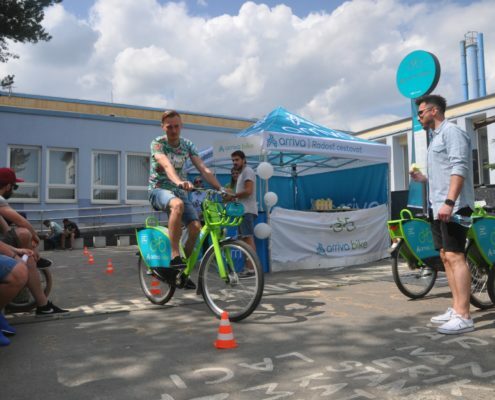 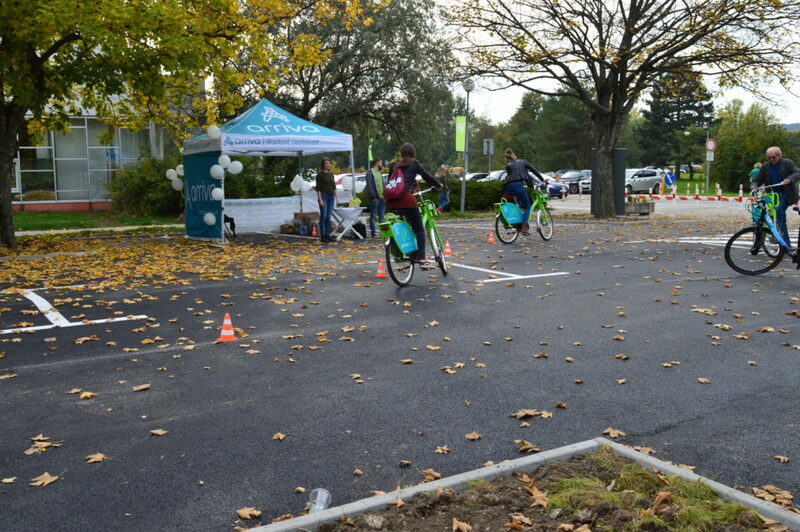 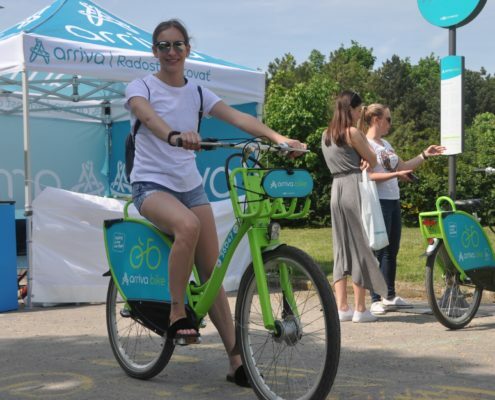 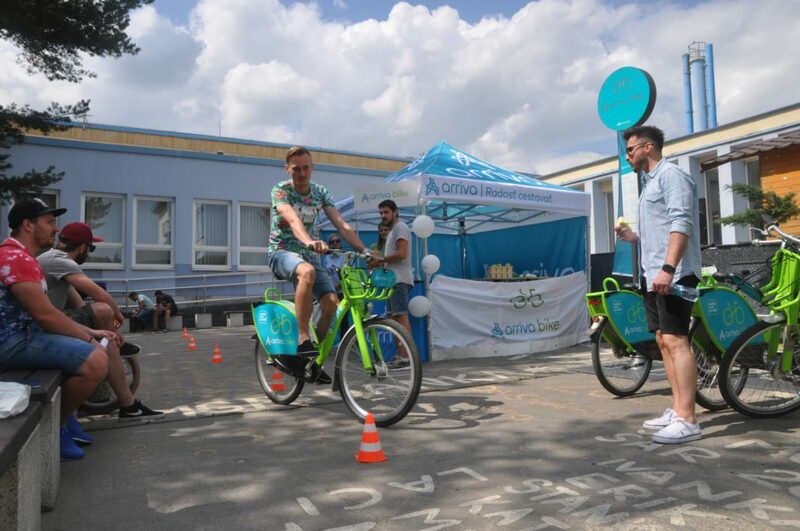 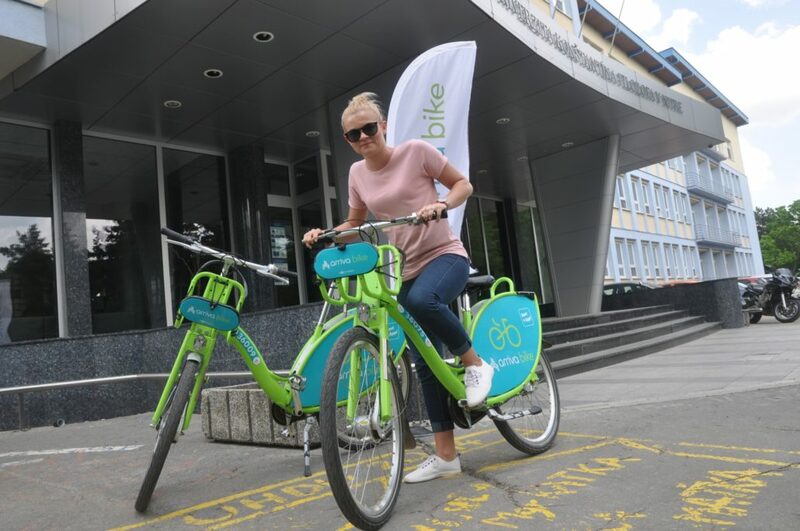 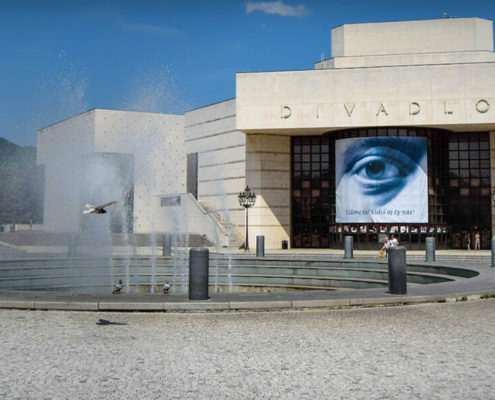 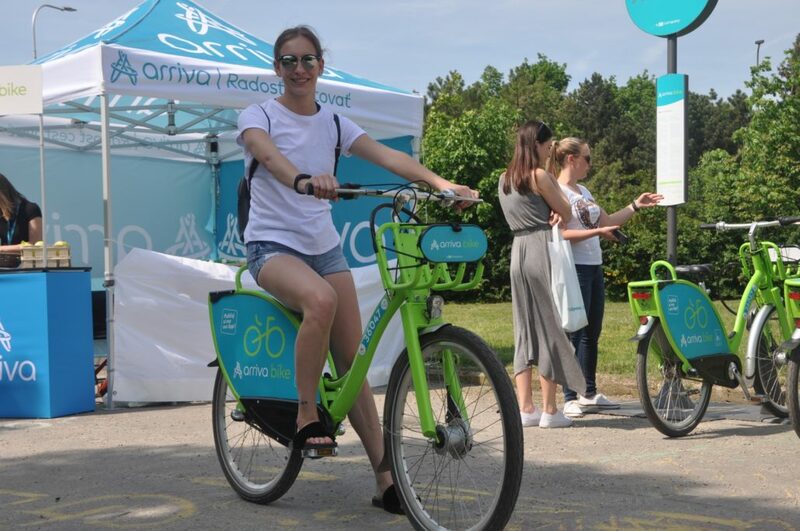 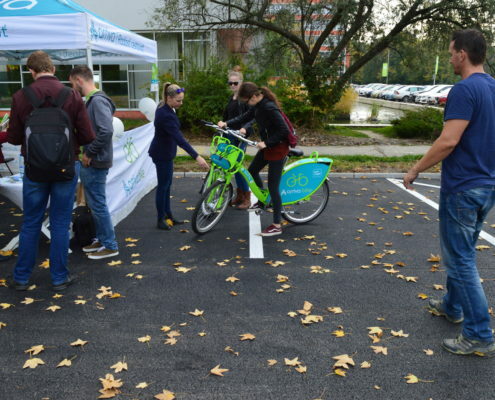 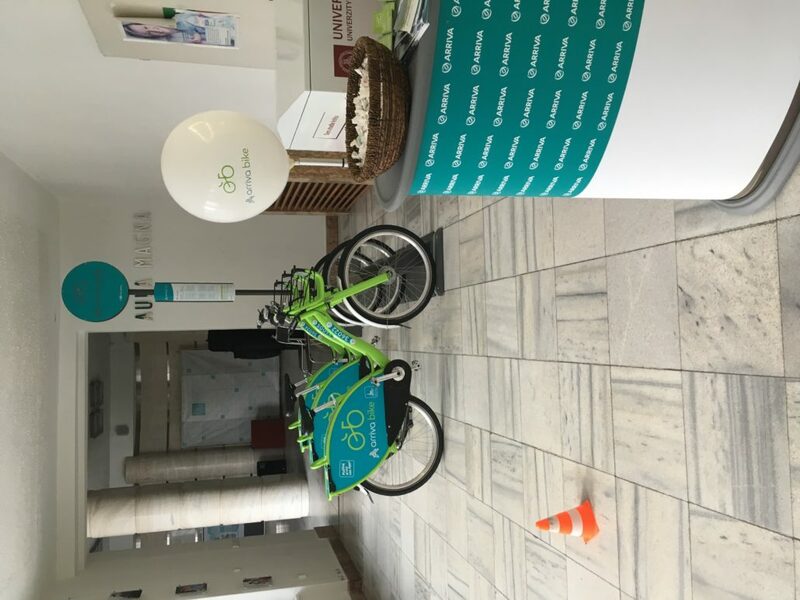 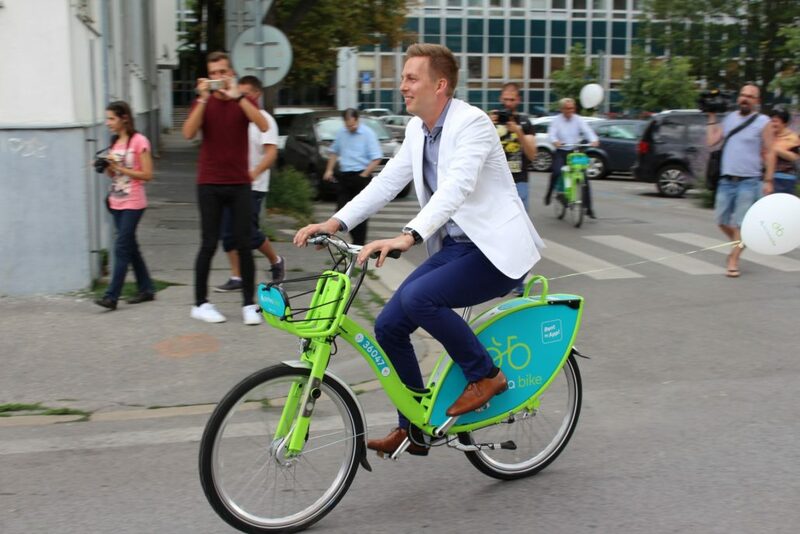 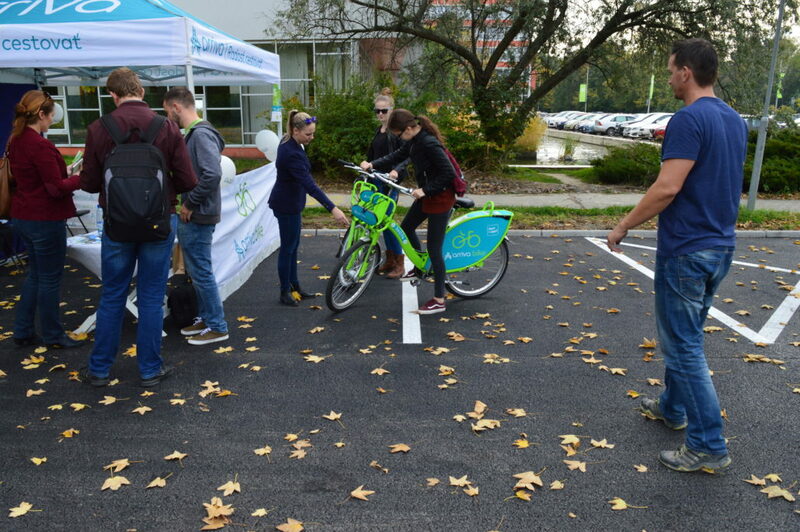 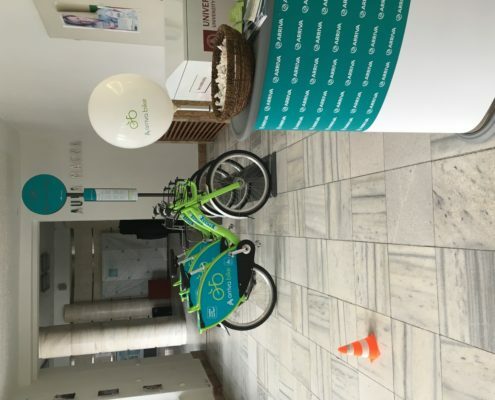 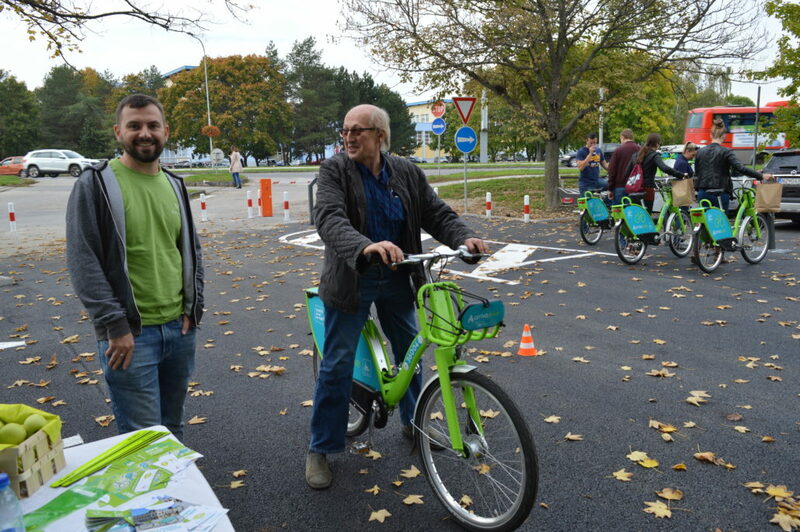 Even in front of the SLOVAK UNIVERSITY of AGRICULTURE in Nitra, (Trieda A. Hlinku 2) shared bicycles arriva bike and the program with competitions and interesting prizes were waiting for all fans of cycling! 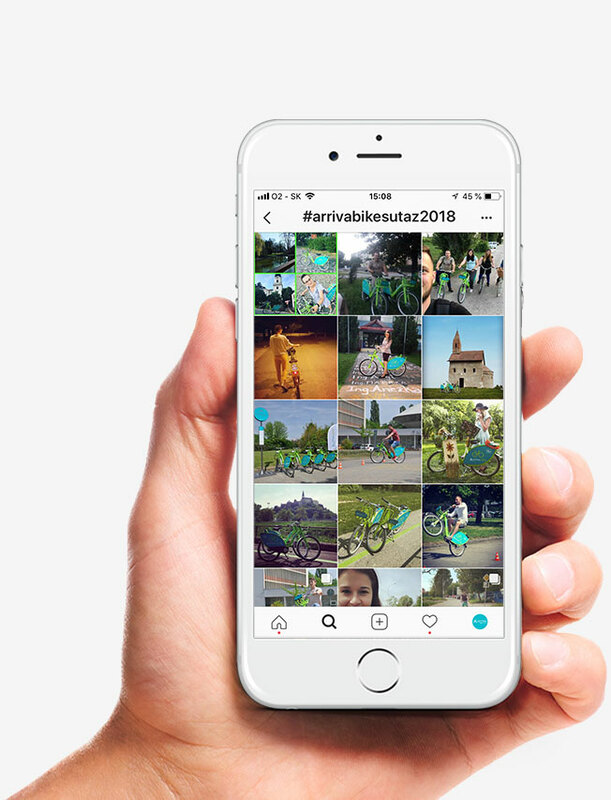 Those who were interested in taking a photo with an arriva bike had the opportunity to join the photo contest #arrivabikesutaz2018 at the Instagram for valuable prizes. 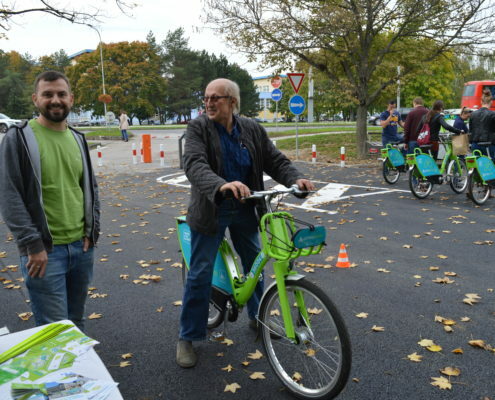 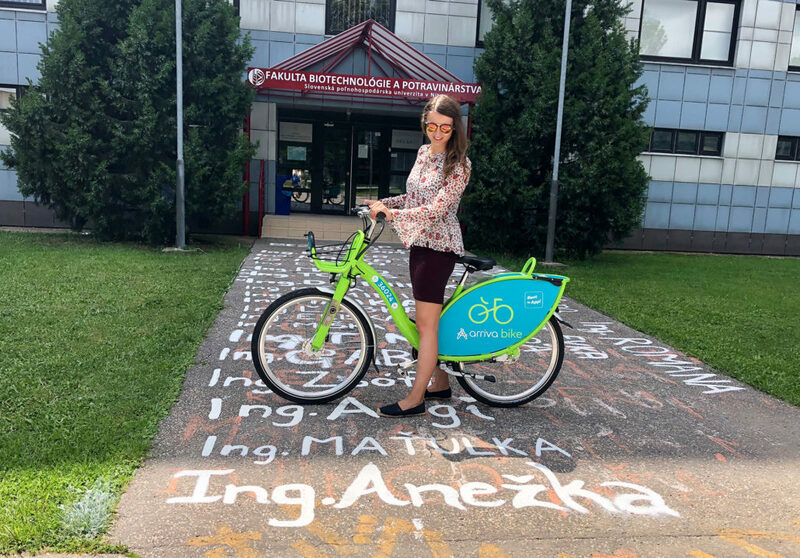 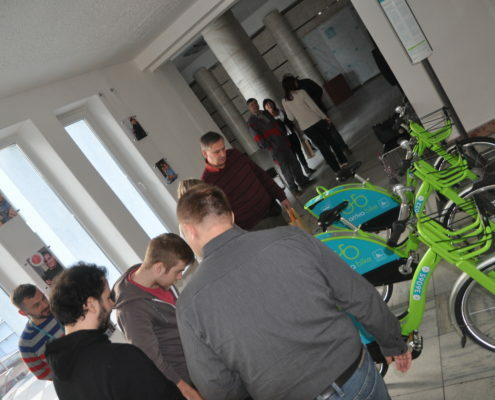 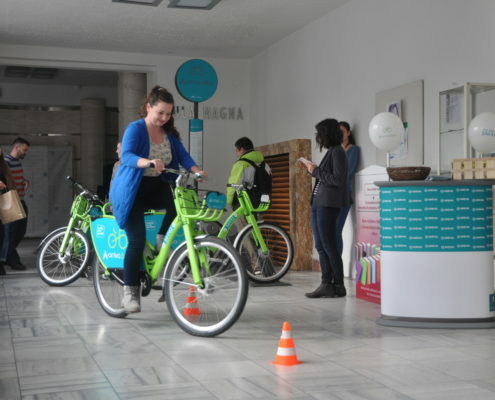 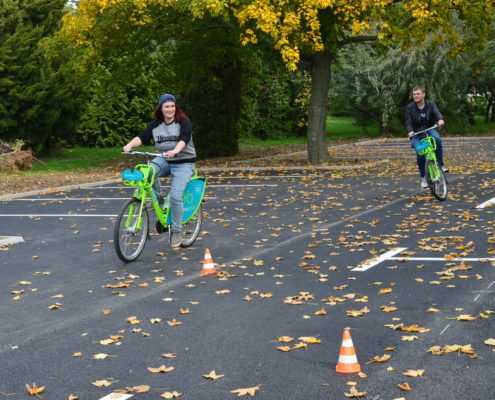 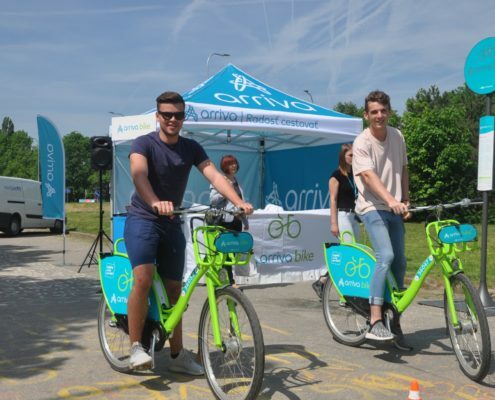 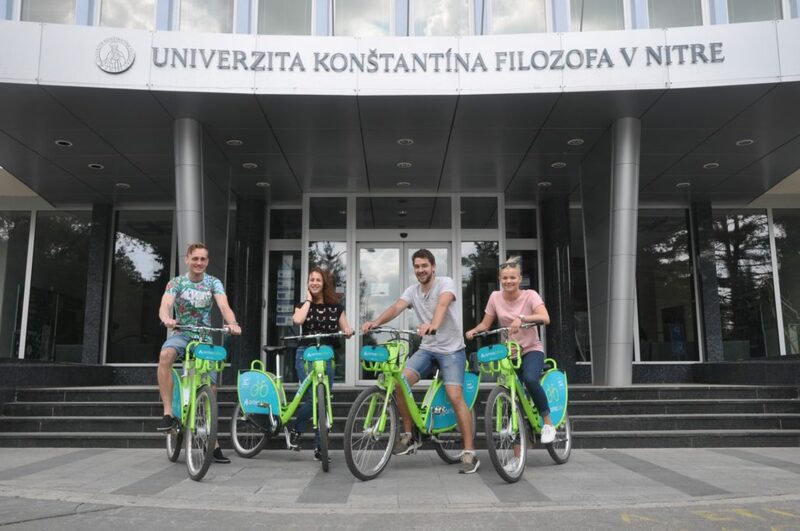 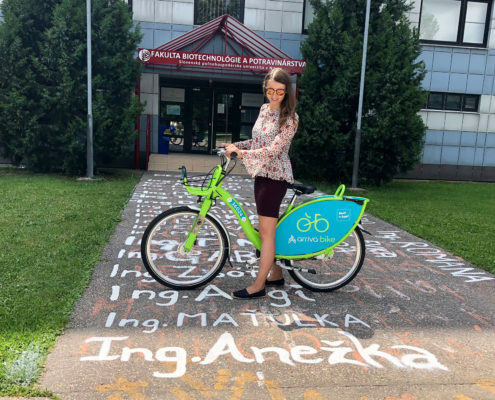 Even this season, ARRIVA BIKE DAY took place in front of the main building of the Constantine the Philosopher University in Nitra (Trieda A. Hlinku 1). 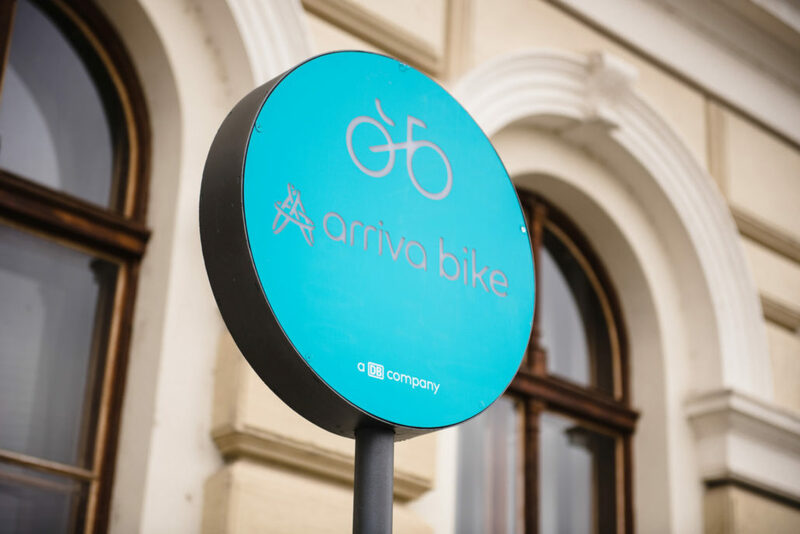 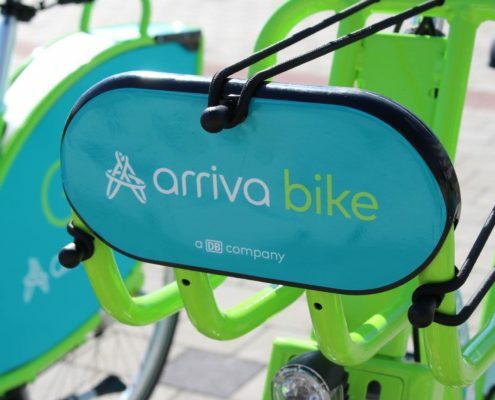 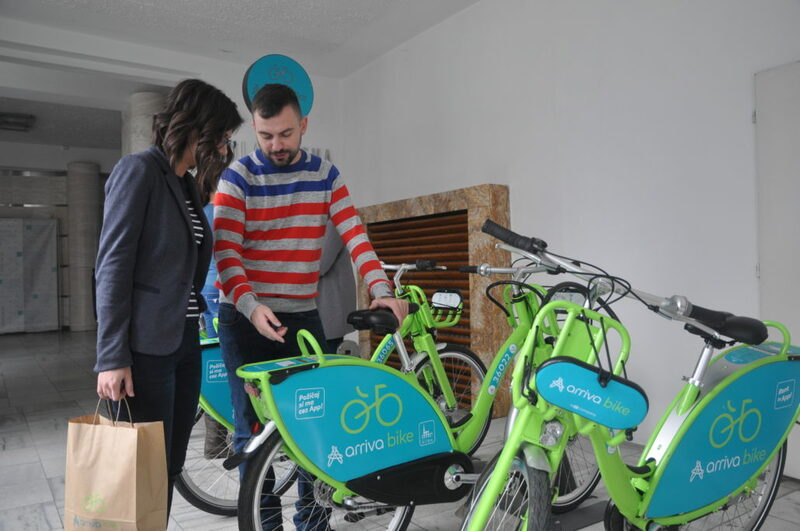 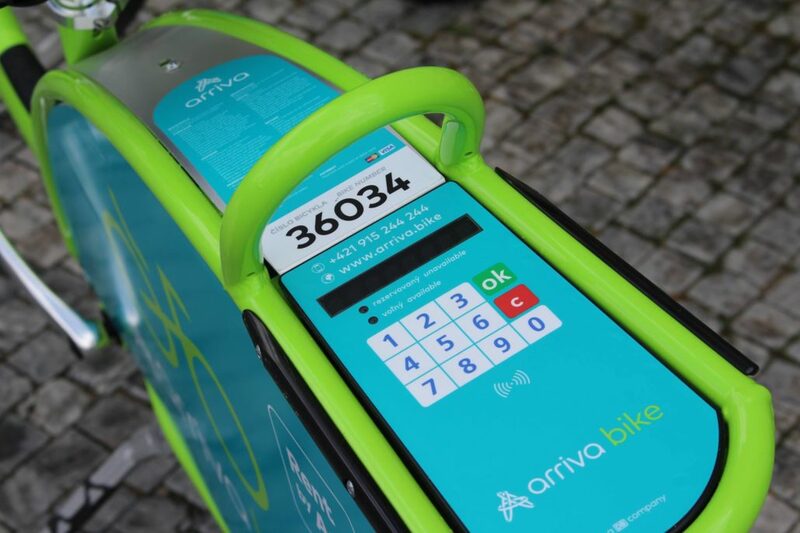 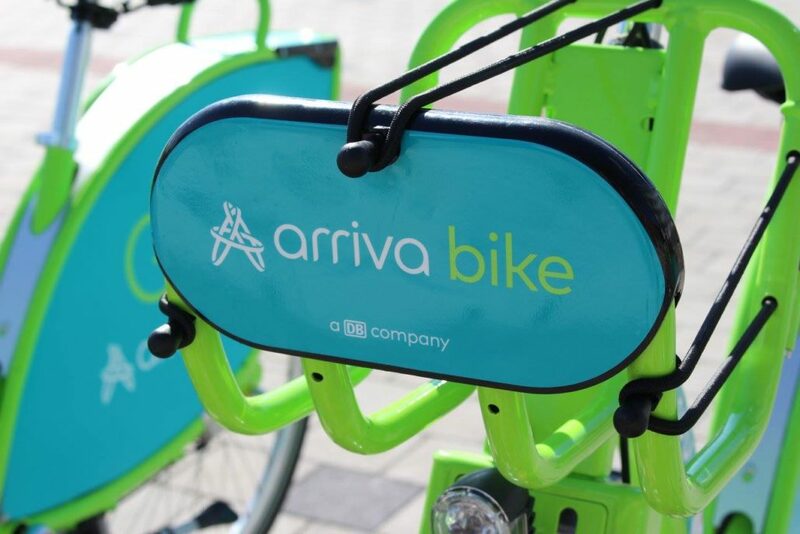 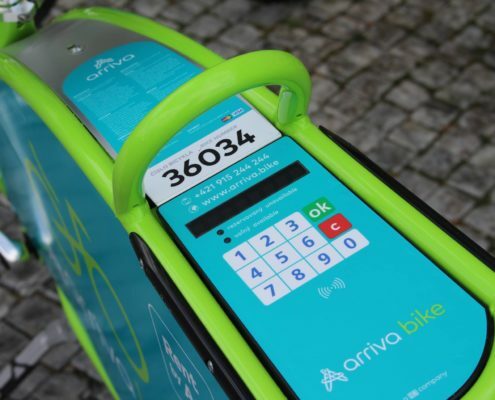 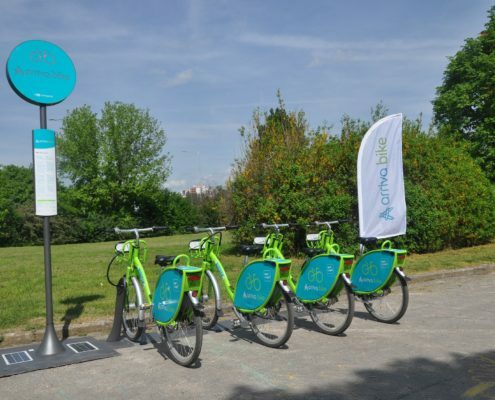 On Tuesday, April 24, 2018, we were introducing to the fans of cycling how to sign up for an app, how to rent and how to properly return the arriva bike into the dock. 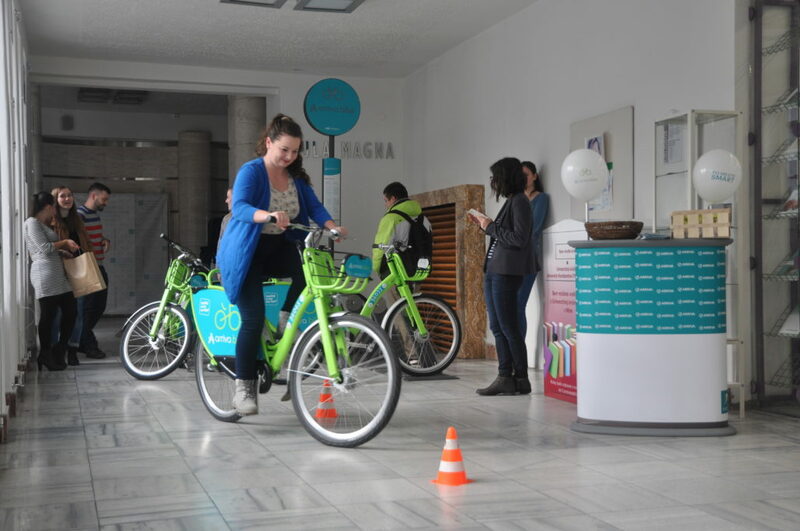 Competitions with great prizes were prepared for the participants! 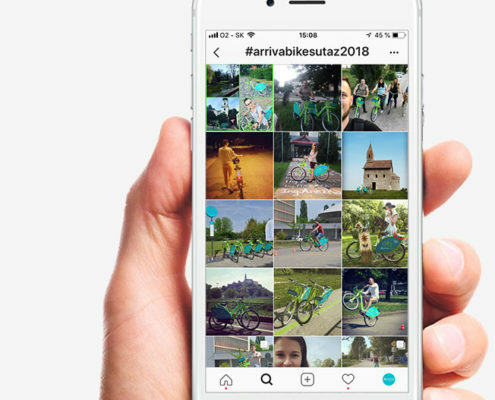 They could also take a photo with an arrive bike and join the photo contest #arrivabikesutaz2018 at Instagram. 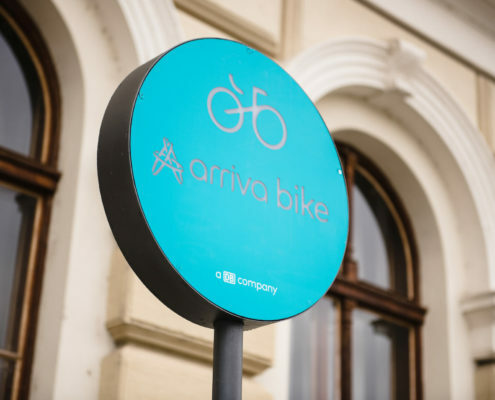 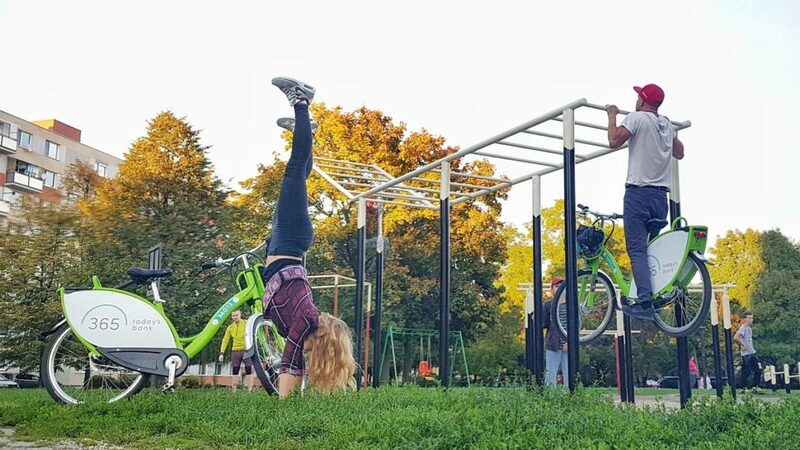 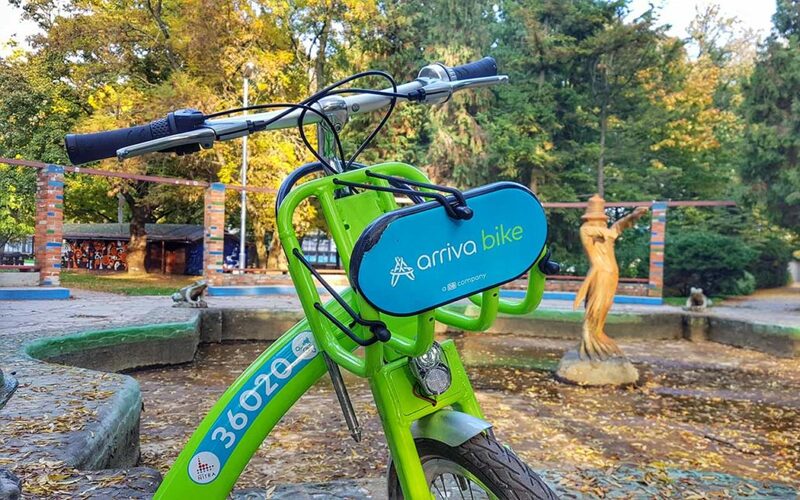 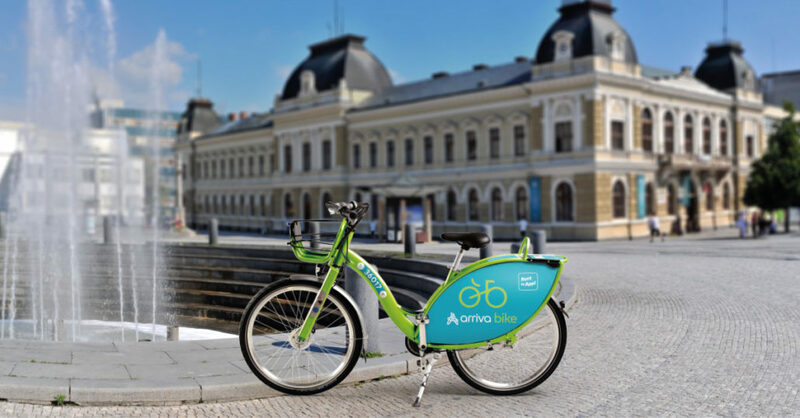 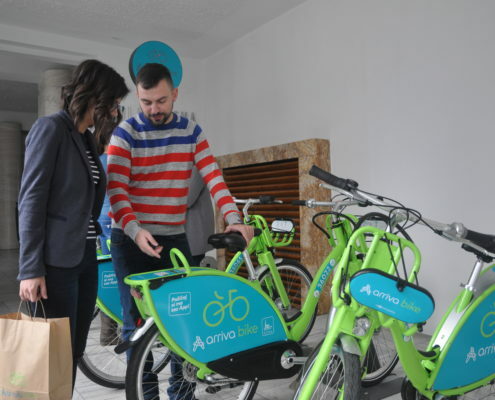 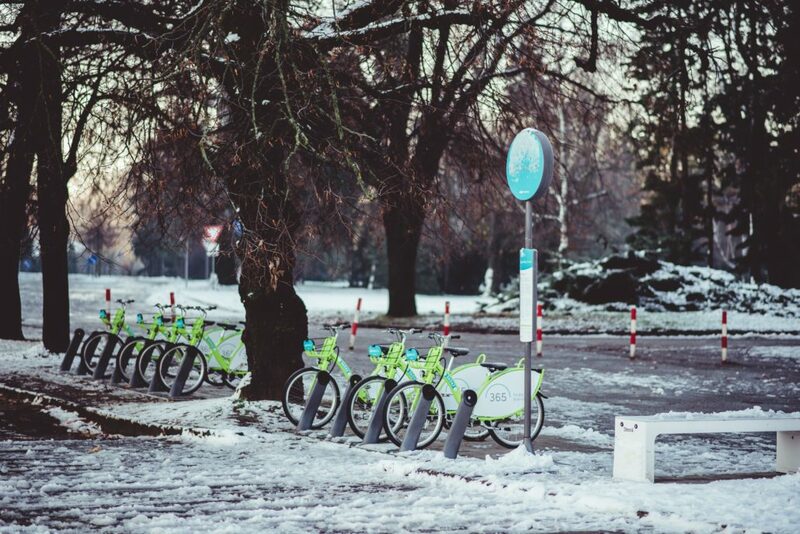 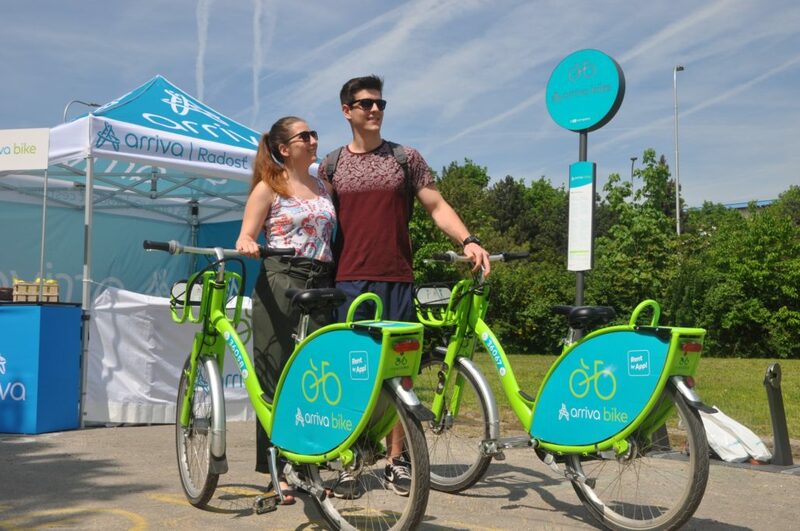 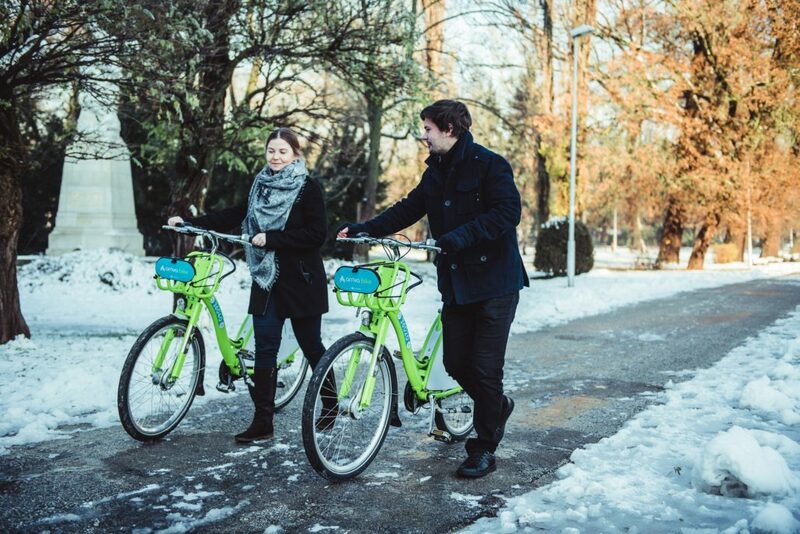 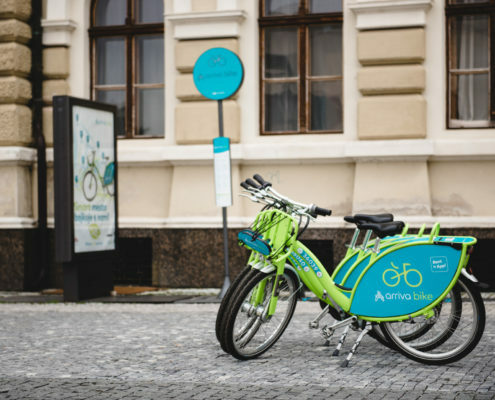 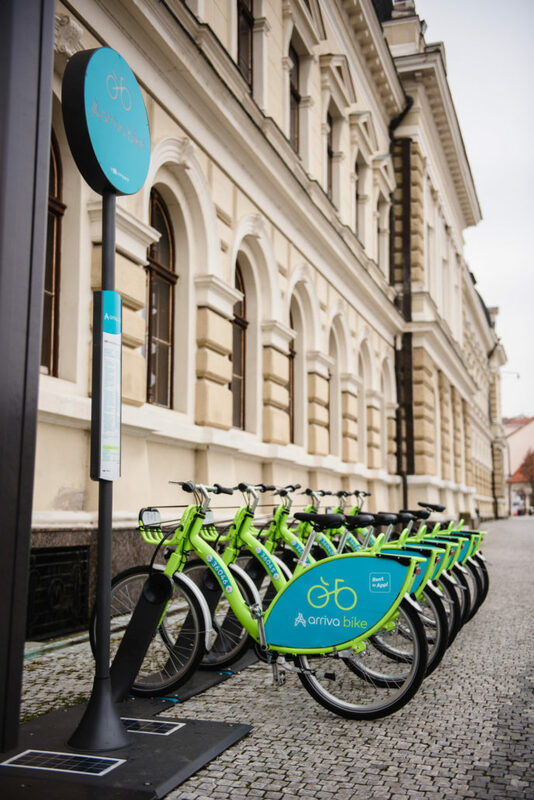 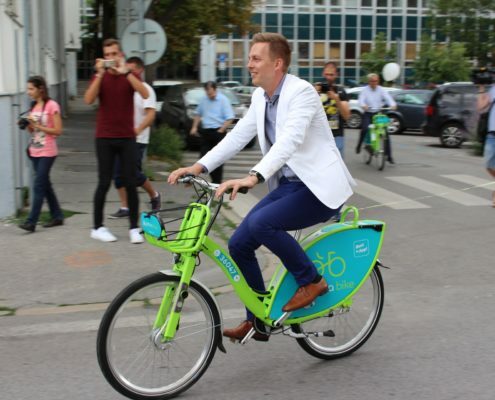 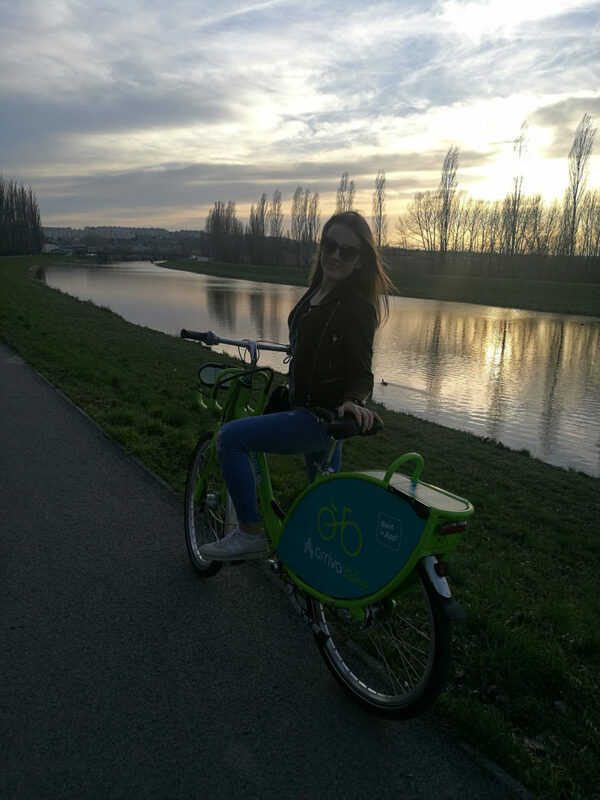 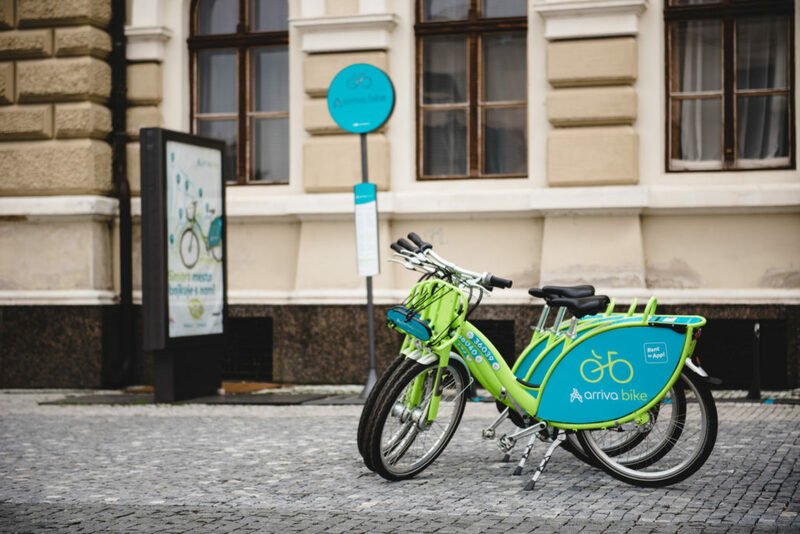 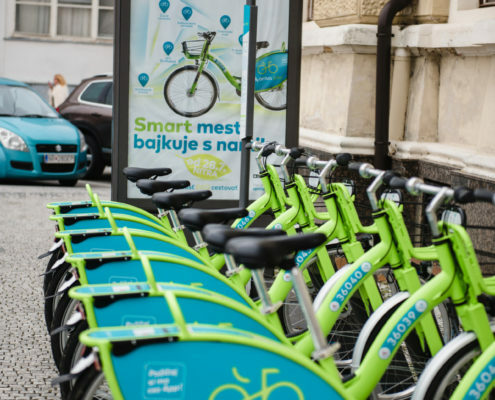 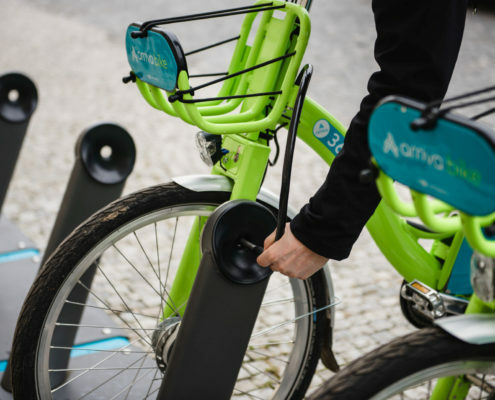 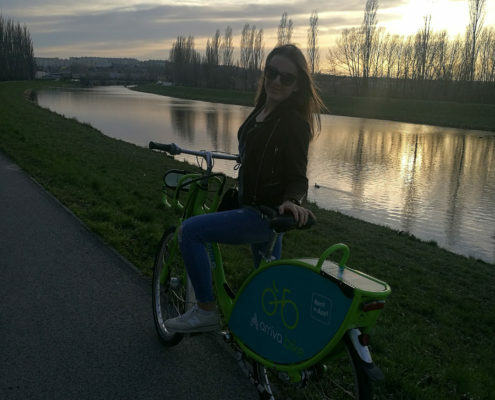 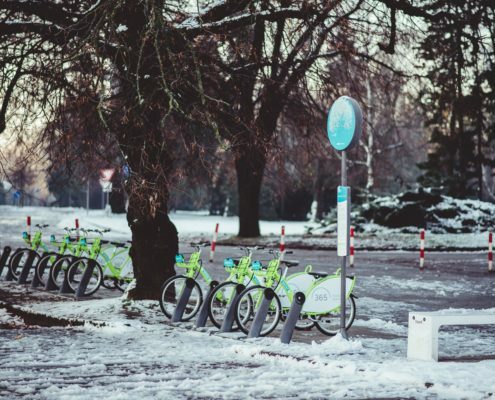 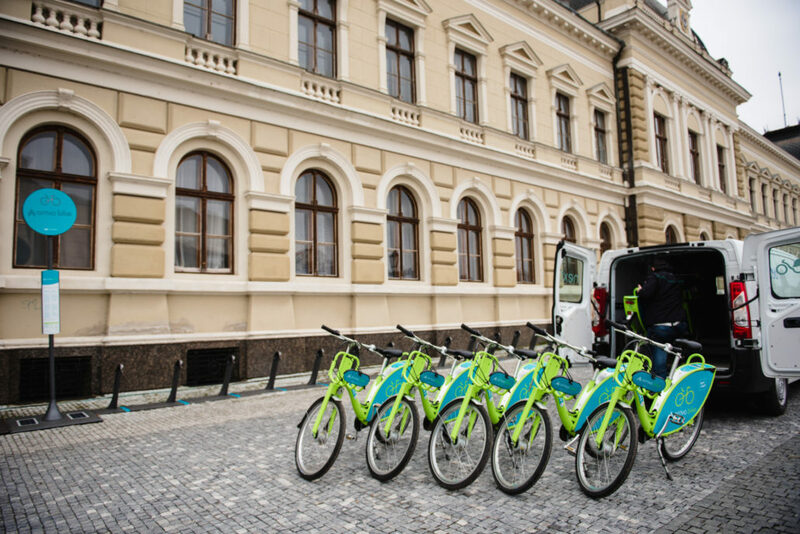 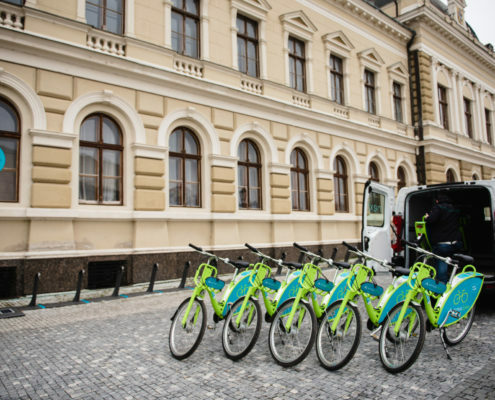 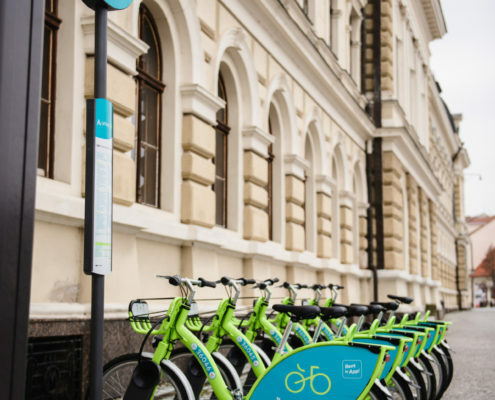 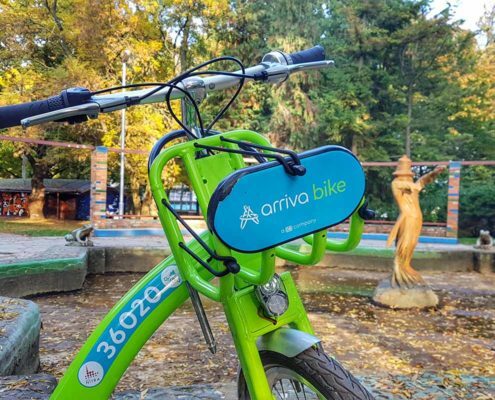 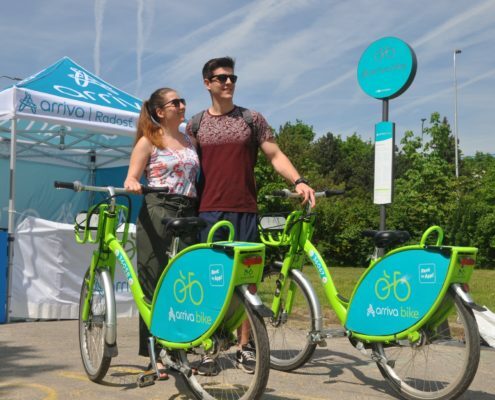 The opening of the bicycle season arriva bike in Nitra was on the first spring day of March 20, 2018. 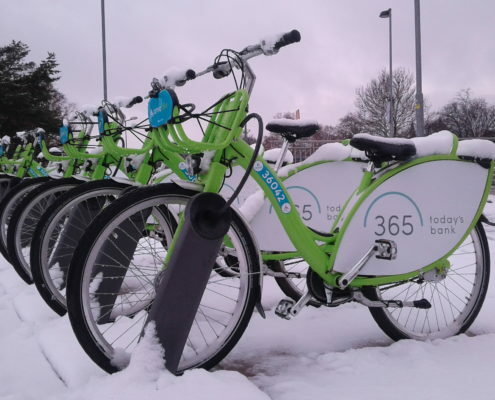 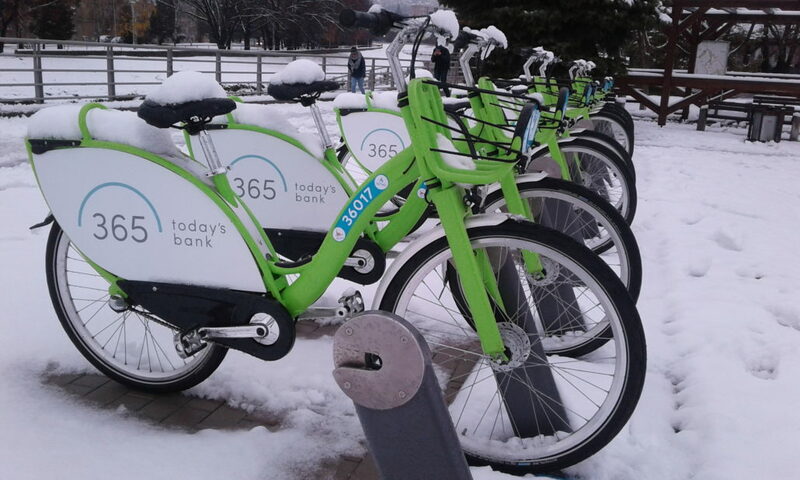 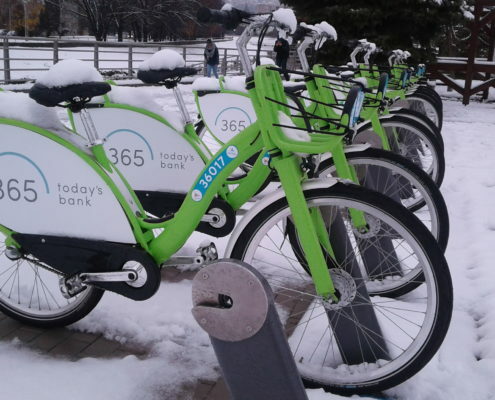 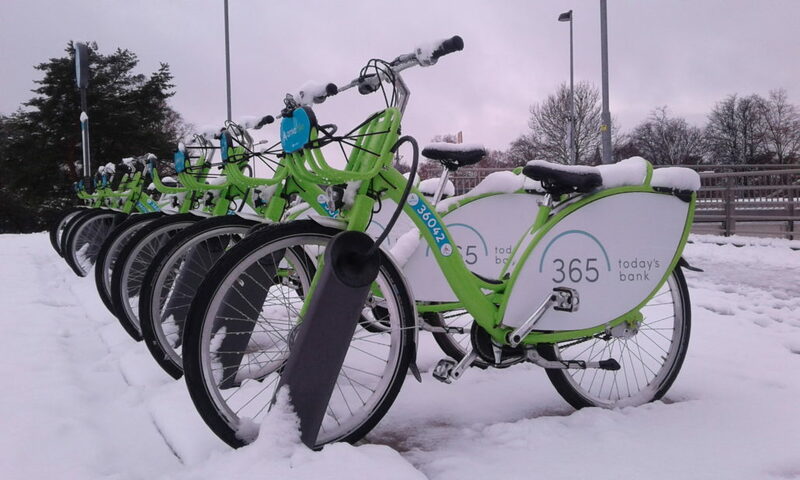 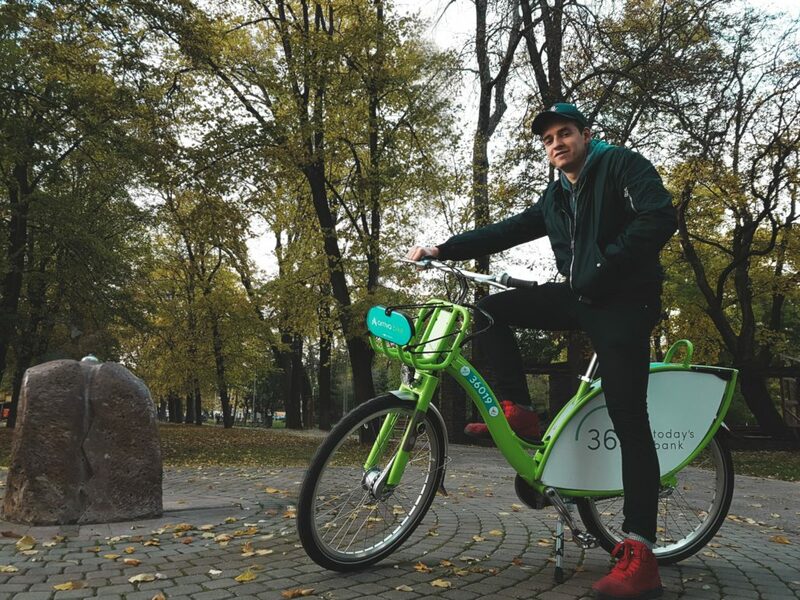 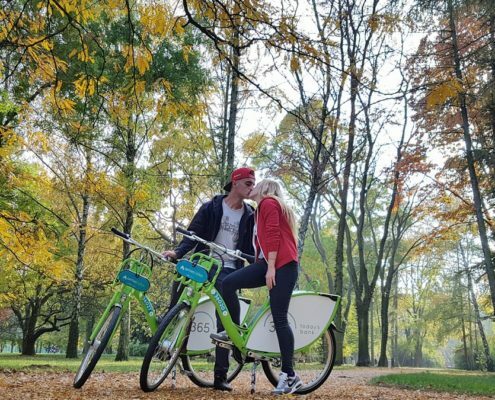 The first season of shared bikes ended on November 30, 2017. 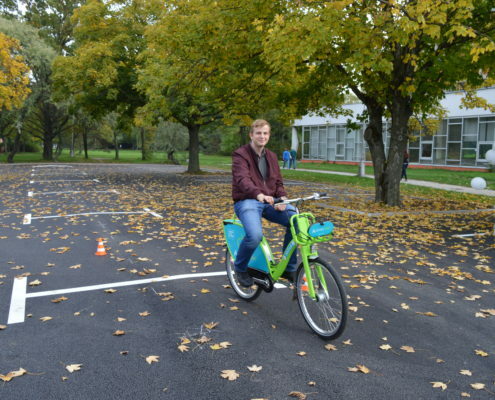 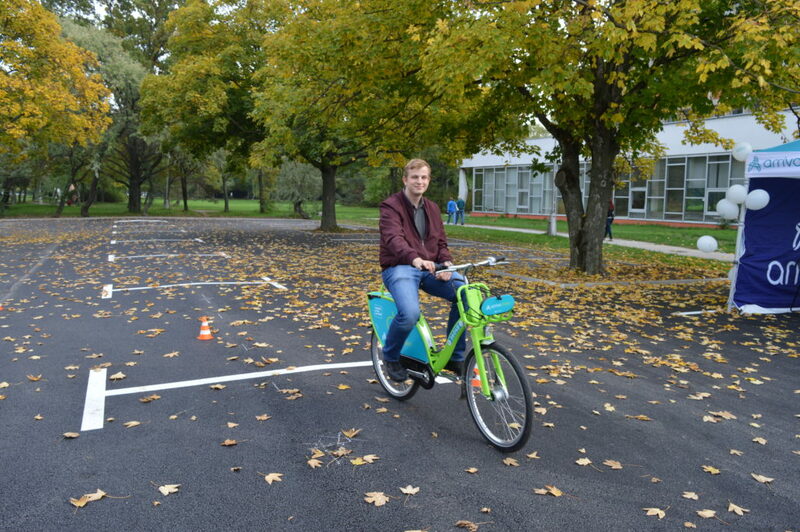 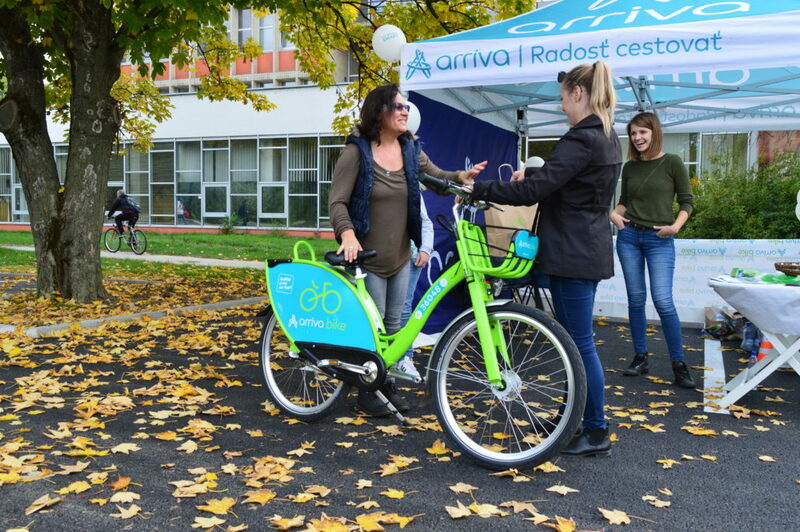 On November 22, 2017, ARRIVA BIKE DAY was held in front of the main building of the Constantine the Philosopher University in Nitra (Trieda A. Hlinku 1). 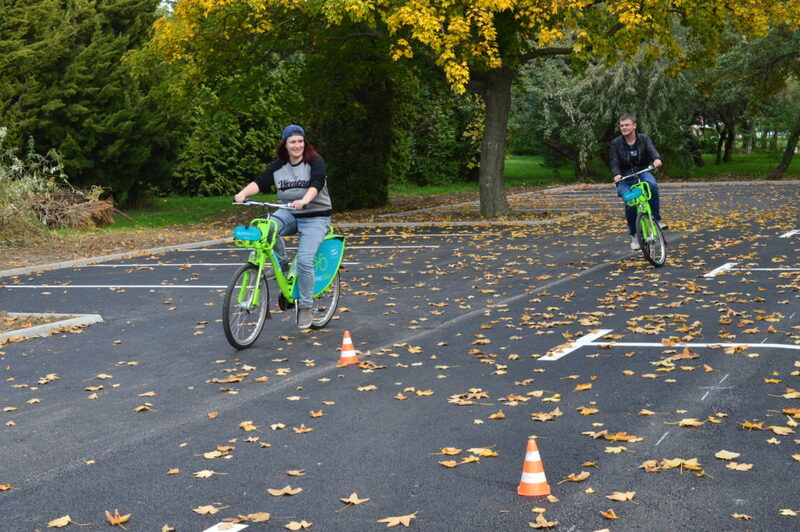 We have prepared a program with competitions and interesting prizes for all fans of cycling! 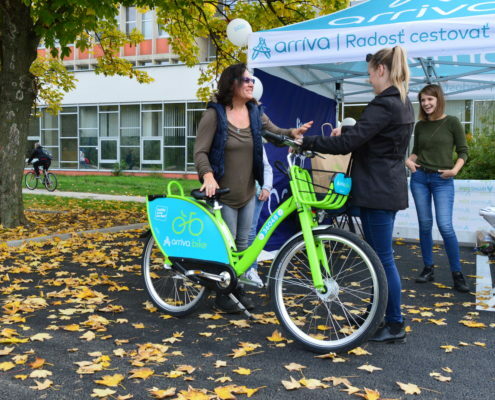 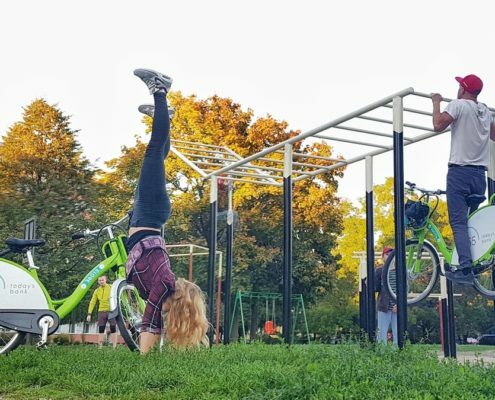 On October 12, 2017, ARRIVA BIKE DAY took place at Slovak University of Agriculture in Nitra (Trieda A. Hlinku 2). 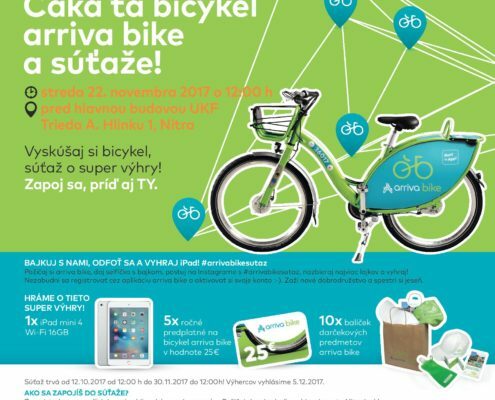 We have prepared a program with competitions and interesting prizes for all fans of cycling! 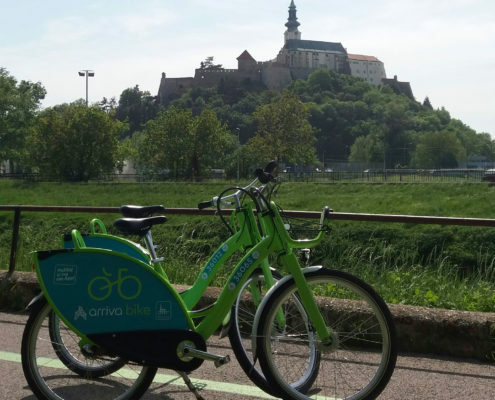 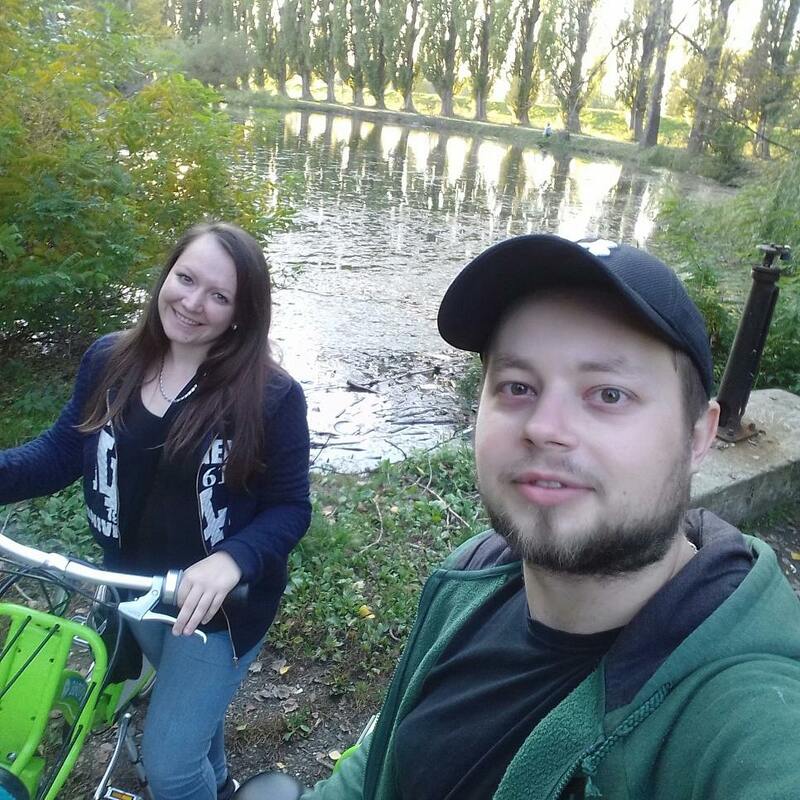 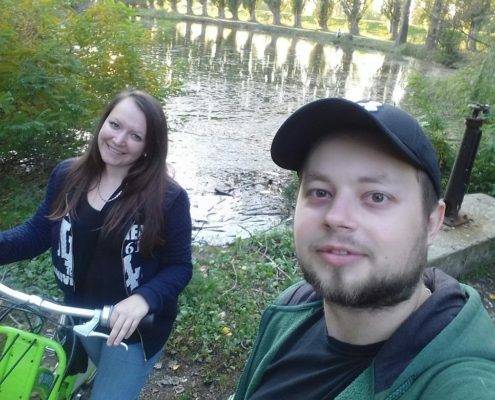 What was the autumn arriva bike adventure in Nitra like? 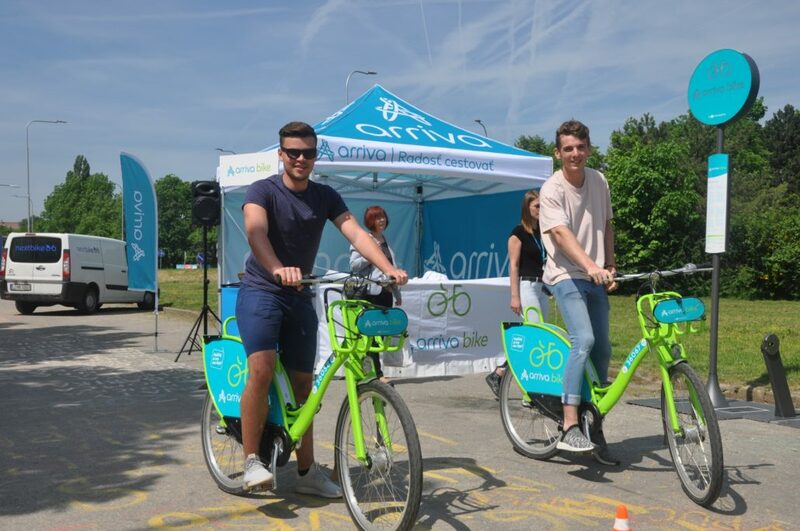 There was a competition for the coolest selfie with the bike named #arrivabikesutaz.